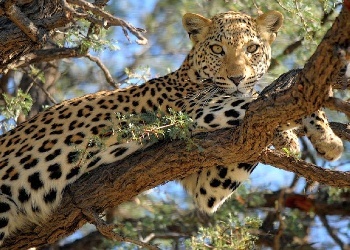 There are 12 different types of leopard. an run up to 37 miles per hour. Are nocturnal and very elusive. Eats gazelles, elands, hares, rodents, dogs, monkeys, bush pigs, sheep, goats, fish, crabs, insects and snakes. Will haul a carcass up a tree or rocky outcrop to protect their food supply from other predators. Snow Leopards used to be called 'ounces'.